I get so many people emailing me and asking me how they can move to Australia. The very first thing that you need to do is establish whether you are eligible for a visa. There are so many different kinds of visas you can get to migrate to Australia that it is impossible for me to tell you which one will suit you. These visa types change quite frequently as well. For example, the visa sub class we came to Australia on was renumbered and the conditions and costs changed just a year after we arrived. Reader: I’ve looked extensively at all the countries in the world and I’ve decided that I want to live in Australia. What do I need to do? Me: Great – what sort of visa do you qualify for? Reader: I need a visa to live in Australia??? How do I get one? Me: (oh boy) Well it depends, what kind of work do you do? Reader: I work in admin. Me: (realising they probably have very little chance of getting into Australia with a purely admin background) Speak to a registered migration agent who will be able to tell you what visa you may be able to apply for. Reader: There are different kinds of visas???? I can only assume if you are reading this blog that you know a little bit more about the process than this person and that there are many different types of visa which you can apply for in order to migrate to Australia. Let’s take a look at some of the most popular ones. The main different kinds of visa people come to Australia on are permanent skilled visas , temporary working visas, study visas or business visas. Each one has it’s own rules and regulations and of course, costs. This includes the 457 visa which is a temporary visa sponsored by a company in Australia to come and work here for them. Typically the company will pay for your visa costs and relocation costs – awesome! You also know you’ll have a job as soon as you land – even better. This makes it a very attractive visa for those who do not have the funds to come over straight away or those who do not qualify for a skilled/permanent residency visa. 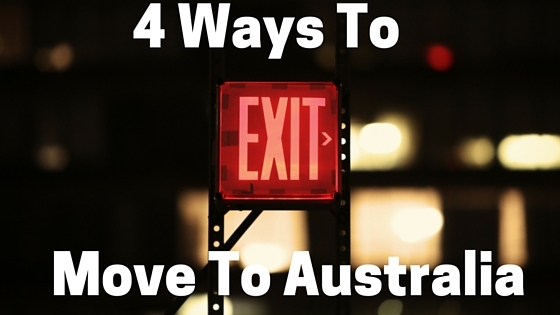 This is one of the ‘safest’ ways to move to Australia. I say ‘safe’, because once you have entered Australia on your permanent residence visa, and you continue to meet any obligations of your visa for its duration, you are unlikely to be removed from the country (providing you remain a law-abiding citizen of course!). There are usually no restrictions on working conditions (there may be on some visa types though e.g. regional sponsored visas) and it is a far less stressful situation to be in if you plan on living in Australia permanently. The most common visa type that people apply for permanent residence are skilled migration visas. I won’t list the visa subclass numbers as they change them fairly frequently. If you want to apply for this type of visa, you need to have a skill which is on one of the current skilled occupation lists. There are 2 lists: the Skilled Occupation List (SOL) and the Consolidated Skilled Occupation List (CSOL). Have a look and see if your current occupation or previous experience is on either of these lists and if so, that’s a great starting point for you. You’ll still need to provide evidence that you have the skills to qualify for a skilled visa. Simply having the same job title as what’s on the list is not enough. A reputable migration agent will be able to tell you what evidence is likely to be sufficient for a positive skills assessment and visa application. These can be an option for some people but bear in mind that you are not allowed to work more than 20 hours per week on a student visa. If you have a family to support, this can be extremely restrictive and you may not be able to make ends meet. You also have to prove that you are only going to remain in Australia for the duration of your studies and that you are a genuine student. Many people plan to enter on a student visa and then switch to another type of visa. While this is sometimes possible, it can be very complicated too so speaking to a reputable migration agent is highly recommended before assuming you can go down this route easily. If you plan on buying a business in Australia, you may be able to qualify for a business visa such as a business talent visa. 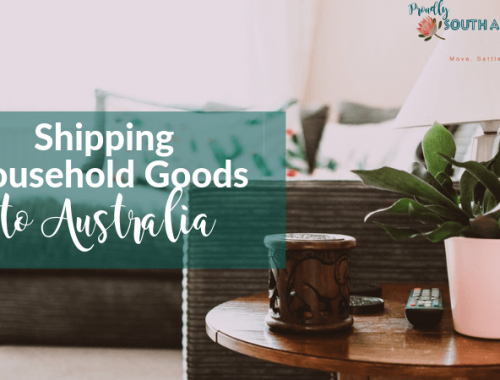 These are often extremely expensive and can come with a whole host of rules and regulations, so unless you are very competent at running your own business and have significant cash behind you, this may not be the easiest pathway to migrating to Australia. The best thing you can do if you are serious about migrating to Australia, is find a reputable migration agent and get their professional advice. If you are going to use an agent based in Australia, make sure they are MARA registered. MARA is the Migration Agents Registered Authority in Australia. It is a requirement of all migration agents in Australia to register with MARA and it is an offence to offer migration advice unless you are a MARA registered migration agent. There are a multitude of other visa types which may be suitable for your situation, such as retirement visas, sponsored parental visas and working holiday visas (although sadly not if you only have a South African passport). If you want advice from MARA registered migration agents in Australia, make sure you join South Africans Migrating To Australia on Facebook. This group is run by several MARA registered and highly respected migration agents across Australia. You can find out more about some of them on the blog too – I’ve interviewed Joey Barnard from Call Australia Home and Marlene Prentice from Migration Network Australia and all their contact details are on each post. Also NEVER pay money upfront to an agent for an initial consultation – any migration agent worth their salt will offer you a free initial consultation where they will tell you whether you qualify for a visa for Australia or not. If they want payment to simply tell you whether or not you will qualify, just walk away. ***Update*** I was contacted by a respected migration agent who advised that sometimes they will charge an initial consultation fee if they feel it is a complex case and it will take a long time for them to come to a decision. So if an agent is asking for an upfront fee, make sure you satisfy yourself that an initial consultation fee will be money well spent. This agent prepares a quote for all work undertaken and explains exactly what they will be doing, and this can help you see exactly what you will be paying for. Do you want to get all my posts directly in your inbox? Just subscribe to the blog below and you’ll get all my posts about migrating to Australia and life in Down Under delivered straight to your inbox every time! If you want to find out more about the cost of living in Perth, read this post. Find out where to get awesome advice about moving to Australia and how to find a job in Australia on my blog now.